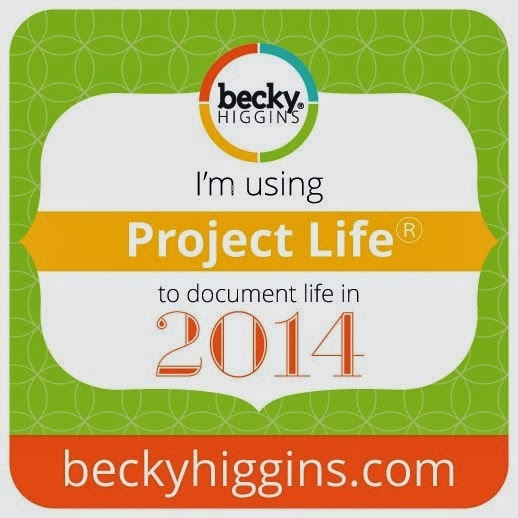 I am a scrapbooking, reading, creating, eating, couponing, mothering, wifing woman who wants to share it all! Hey everyone! I am here today with a beach layout, although it might not look like a beach layout.... This is an old picture of myself with my family on an extended family beach vacation we took in 1996. Honestly, I struggled a bit with this one, but after stepping away for the night, I came back refreshed and ended up really liking my final layout. Check out my video for the process! Thanks so much for joining me today! Please be sure the check out the Inspiration Station store if you haven't already. Have a great week! Hey everyone! 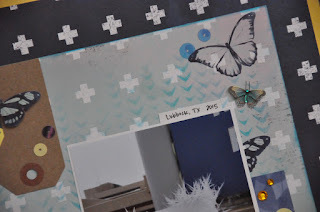 I'm here with a fun beachy layout for the Inspiration Station design team. The Inspiration Station is a great store located in Stafford Springs, CT. I used a lot of the BoBunny Boardwalk line for this layout. And the paper just happened to match my picture perfectly, like it was creepy... This is a picture from my college years at a sorority mixer on the beach. Check out the video to watch my process! Thanks for joining me today! Please head over to the links below to check out the Inspiration Store, they are so sweet and awesome to work with. Thanks so much, see you next week! Hey everyone! Is it seriously July already??? Is summer seriously halfway over??? I am here today with my first layout this month using products I received from the Inspiration Station store in Stafford Springs, CT. This month, I received some beach themed products and some dog themed products. In this video, I show you exactly what I got. For my first layout, I worked with the Bella Blvd Rover collection and did a smaller 8x8 layout about my dog, Annabelle. Both of my dogs have their own smaller albums that I'm working on periodically. I had these great pictures of Annabelle wearing a purse and sunglasses that my daughter had put on her. I wanted to be sure to document how sweet and tolerant Annabelle is with my girls. She's very patient and lets them put things on her and hug on her. Check out the video to see my process! Thanks so much for joining me today. 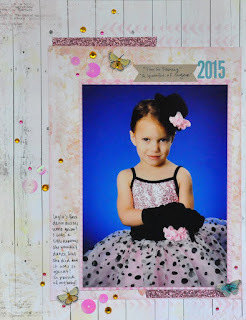 I'll be back next week with another layout using these fun products! To check out the Inspiration Station store, I have links below. They are wonderful people, go support them! Thanks and I'll see you next week! 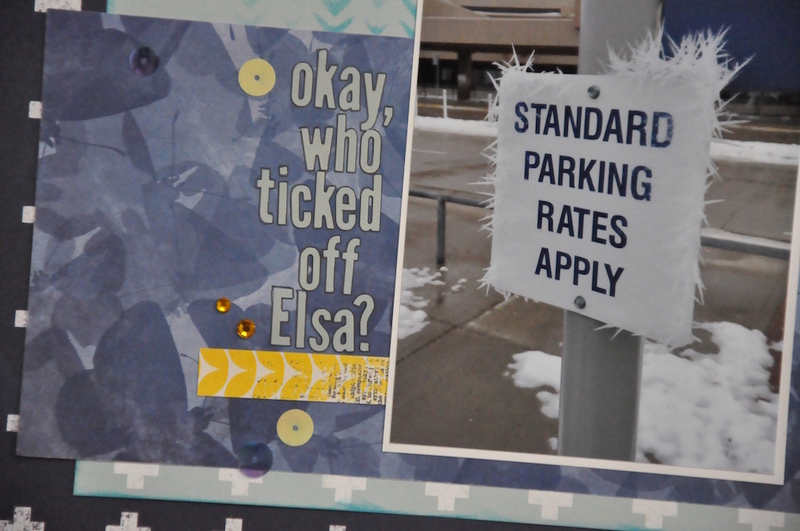 Inspiration Station DT: Okay, Who Ticked Off Elsa? Hey everyone! 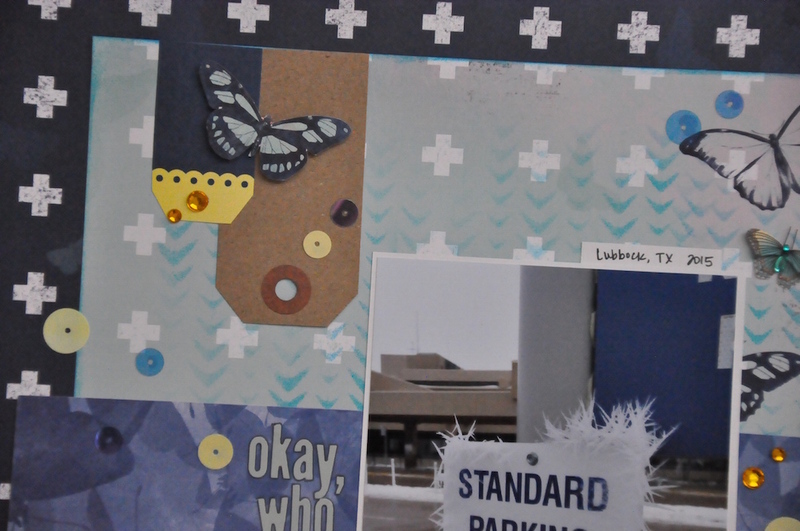 I am here with my last layout of the month for The Inspiration Station scrapbook store in Stafford Springs, CT. They sent me the super fun Sweet Life line by BoBunny and I have really enjoyed working with it. 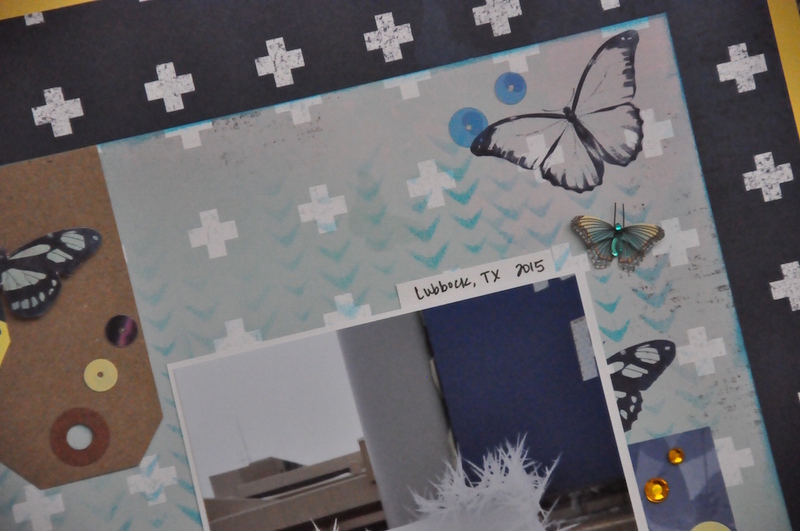 For my last layout, I stuck with the navy colors and just love how this layout turned out. Please watch the video for my process! Thanks so much for stopping by today! If you haven't already checked out the Inspiration Station store, please do, they are a joy to work with! Links are below and have a great week! Hello everyone! 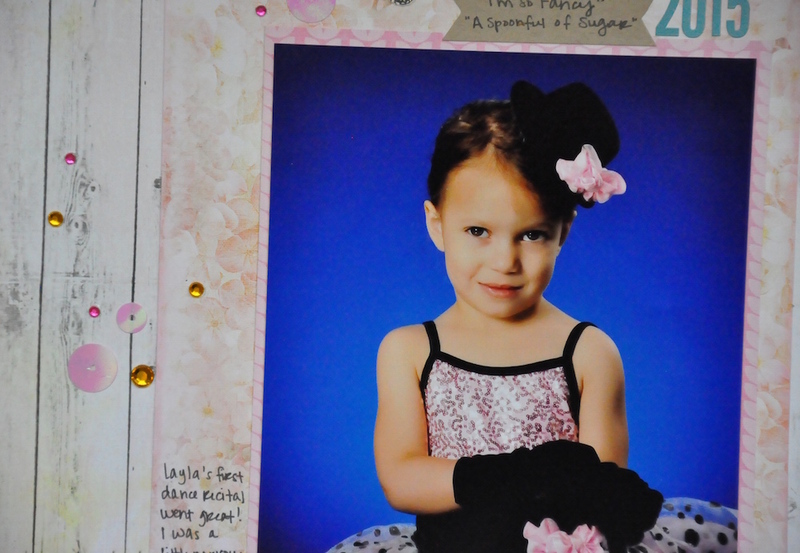 Last week, I shared a dance recital page for my younger daughter, Layla. 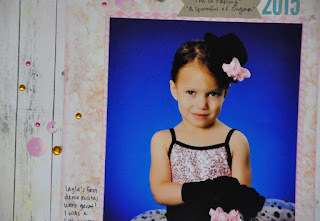 This week, I tackled my older daughter's dance picture. I used many of the same products from Bo Bunny as I used last week with a different color scheme. I love how nice and simple these pages ended up being. Please check out the video for my process! Thanks so much for joining me today! Please be sure to go check out the Inspiration Station store and get all of these products there. Have a great day! Hey everyone! 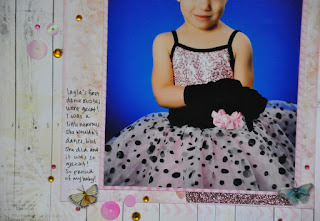 I am bringing you another dance page using products I received from the Inspiration Station store in Stafford Springs, CT. I am on their design team and really enjoyed using these products to make a layout about my younger daughter's dance recital this year. 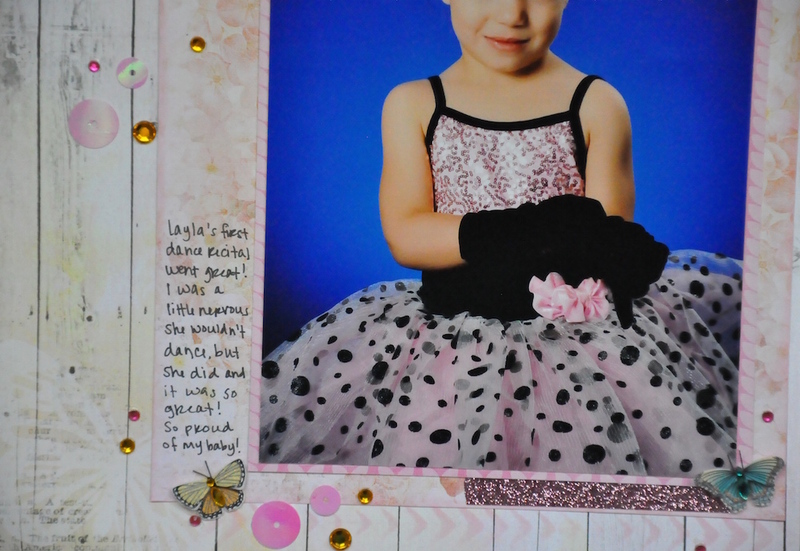 Our dance album is an 8.5x11 so this one went really quickly! Please check out the video for my process! Thanks so much for stopping by today! For more info on the Inspiration Station store, please check out the links below. You can get all of these products at their store! Have a great day! Hey everyone! 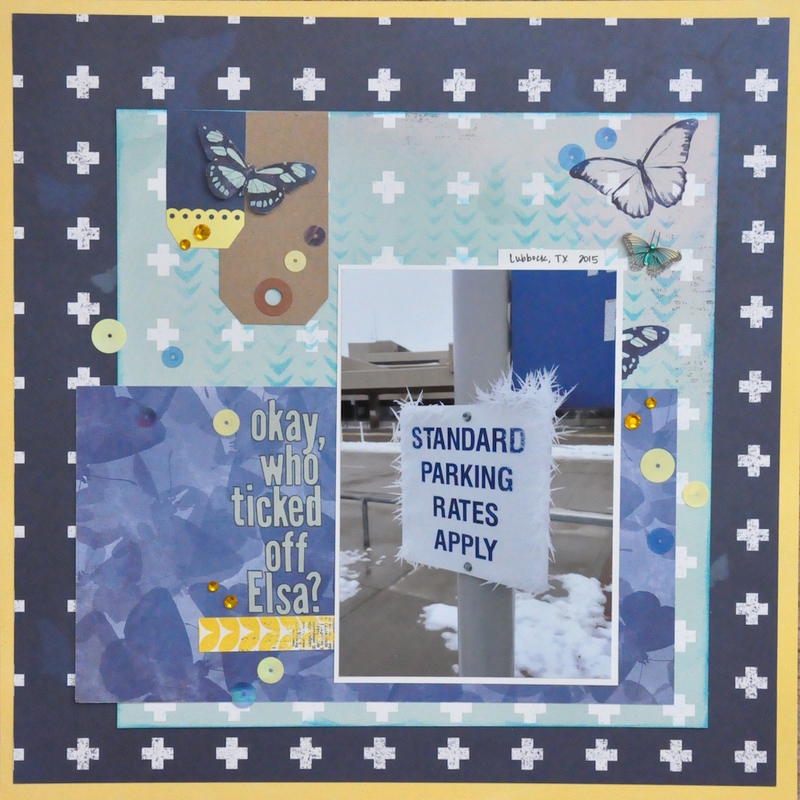 I am here with my first layout using products I received from the Inspiration Station scrapbook store in Stafford Springs, CT. When I opened the box and saw the purple elements, it was just perfect! I had just taken pictures of my daughter at a dance clinic hosted by our local high school dance team. Their colors are purple, black and white so immediately a layout started forming in my head. 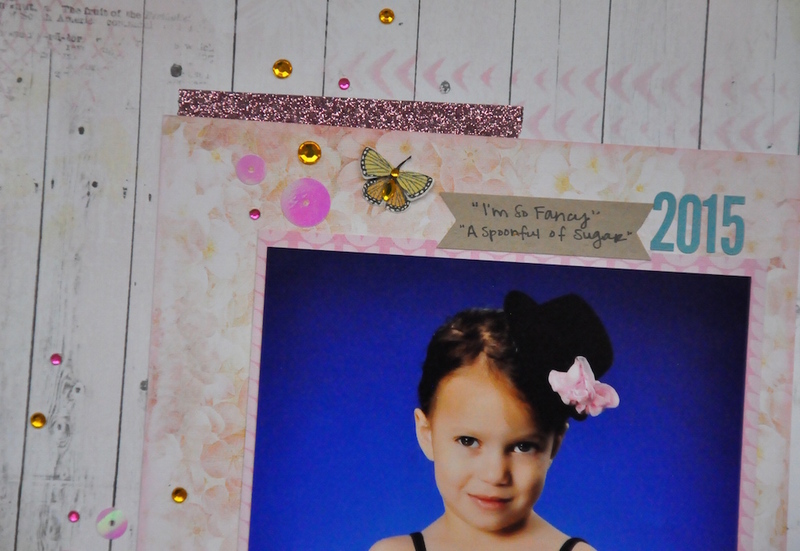 This one is an 8.5x11 layout to go into my daughter's dance album. Please watch the video to see my process! Thanks so much for stopping by today! Please click on the links below to check out the Inspiration Station store, they are really great! Hey everyone! I have one last layout here using the Safari line by Bo Bunny that was sent to me by the Inspiration Station scrapbook store in Stafford Springs, CT. This line has the best papers and they work so well together even though they are animal print and kinda busy. I loved working with this line. Please check out the video to see my process! Thanks so much for joining me today! If you haven't checked out the Inspiration Station store yet, please stop by and check them out, or head over to their sites, links are below. Have a great day! Hey everyone! 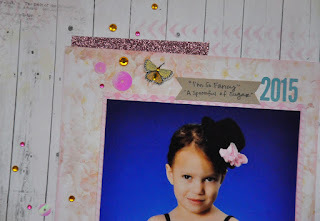 I have another fun zoo themed layout to share today. I used the Bo Bunny Safari line that I got from The Inspiration Station store, located in Stafford Springs, CT. This line is so fun and I had a ton of zoo layouts to do, so it was perfect! I love these pictures of my daughter feeding giraffes at the San Diego Zoo. Please check out the video to see my process! 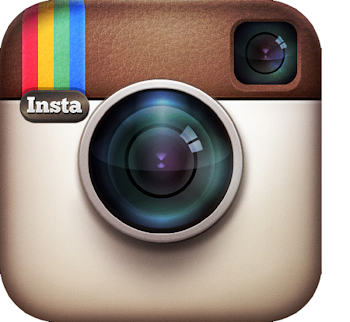 If you haven't checked out the Inspiration Station store, please head over and check them out! Check them out in person or click the links below. Have a great day! Hey everyone! 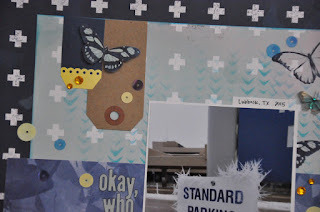 Today I have a layout using the products I received from the Inspiration Station store in CT. 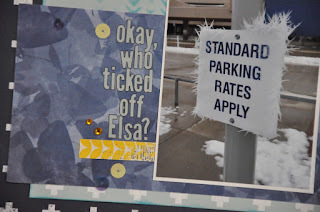 I'm using the Bo Bunny Safari Line this month and today I decided to show you how to use a "themed" line with pictures that don't coordinate directly with that line. Here, I use the Safari line, which is heavily animal and zoo themed, and I created a layout using a picture from one of my husband's training missions he recently did. Please check out the video to see how I made it work! Thanks so much for joining me today. Be sure to check out the Inspiration Store if you haven't already. All of these awesome products are currently available in their store! I am a creator. I create scrapbook pages, quilts, cross-stitches, memories. I am a reader. I am never not reading a book. I am a wife and a mother. I am a sharer...and I'm here to share it all with you!